So I made it to about 16.5 hours of reading, between the 8 hours spent on an audio book, the 8 hours spent on finishing a book, and a scattering of minutes that may or may not add up to another 30 minutes (I'm probably rounding up for my own benefit); I think I did quite alright. In the last few hours of possible reading for the day, I decided to start a couple new books--since finishing Spider's Bite, my reading schedule was open for another hard copy book. 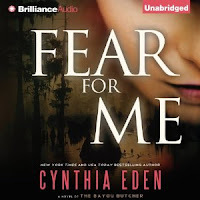 And I'm moving into Scream for Me as my next audio book. Much like the last 24in48 I participated in, I managed to finish two books and clock almost 24 hours of reading.